Founder member of Deep Purple, Jon Lord was born in Leicester. He began playing piano aged 6, studying classical music until leaving school at 17 to become a Solicitor’s clerk. Initially leaning towards the theatre, Jon moved to London in 1960 and trained at the Central School of Speech and Drama, winning a scholarship, and paying for food and lodgings by performing in pubs. In 1963 he broke away from the school with a group of teachers and other students to form the pioneering London Drama Centre. Also in 1963, Jon joined Red Blood and his Bluesicians and acquired his first electric organ. By the next year he occupied the keyboard spot in the seminal Artwoods, led by Art Wood, brother of future Rolling Stone Ronnie Wood. The Artwoods struggled for the next four years, releasing several singles and EPs and a now highly collectible album titled Art Gallery. During this period, Jon became a much sought after session musician recording with the likes of Elton John, John Mayall, David Bowie, Jeff Beck and The Kinks (eg ‘You Really Got Me’). In December 1967, Jon met guitarist Richie Blackmore and by early 1968 the pair had formed Deep Purple. The band would pioneer hard rock and go on to sell more than 100 million albums, play live to more than 10 million people, and were recognized in 1972 by The Guinness Book of World Records as “the loudest group in the world”. Deep Purple’s debut LP “Shades of Deep Purple” (1968) generated the American Top 5 smash hit “Hush”. In 1969, singer Ian Gillan and bassist Roger Glover joined and the band’s sound became heaver and more aggressive on “Deep Purple in Rock” (1970), where Jon developed a groundbreaking new way of amplifying the sound of the Hammond organ to match the distinctive sound of the electric guitar. This invention, which included plugging the organ directly into a Marshall amplifier, became Jon’s trademark sound and made him a pioneer in the use of keyboards in hard rock. The album included “Child In Time”. Its opening motif played on Hammond organ soon ensured the track became Jon’s signature tune. “Machine Head” (1972) was the band’s biggest and most commercially successful album. It features several rock classics including “Smoke on the Water”, “Highway Star” and “Lazy” all co-written by Jon. During Deep Purple’s early years, Jon wrote several large scale works for orchestra and rock group including “Concerto for Group and Orchestra” which was premiered, filmed and recorded live at the Royal Albert Hall with Deep Purple and the Royal Philharmonic Orchestra conducted by Sir Malcolm Arnold in September of 1969. “Gemini Suite” is a 1970 commission from the BBC, which was recorded with the London Symphonic Orchestra again conducted by Arnold, and “Windows” is a 1974 project co-written with conductor Eberhard Shoerner for the Prix Jeunesse in Munich and broadcast live by several European TV-stations. 1975’s “Sarabande” recorded with the Philharmonia Hungarica, conducted by Eberhard Schoerner (with Andy Summers from The Police on guitar) became one of Jon’s most celebrated works with its Eastern tinged and melodic rhythms. When Deep Purple split in 1976, Jon formed Paice Ashton Lord with drummer Ian Paice and old friend and keyboard player Tony Ashton. They based the band around the two keyboard players and a horn section. However, it was short-lived and only managed one album, “Malice In Wonderland” (1977). In 1978, Jon joined Whitesnake, adding Hammond organ to the band’s then finished debut album Trouble and staying with the band until 1984. Often referring to Whitesnake as his day job, Jon felt he was largely adding colour (or, in his own words, a ‘halo‘) to round out their blues-rock sound. Whitesnake became one of UK’s and Europe’s most popular bands, touring extensively on the back of record selling albums and singles, and also gaining great success in Japan. Between 1980 and 1983 a number of Whitesnake’s singles entered the UK charts, regularly taking the now 40-something Jon onto Top of the Pops. He later expressed frustration that the band was not his most creative outlet and this dissatisfaction eventually smoothed the way for the reformation of Deep Purple Mk II. Jon’s last Whitesnake concert was on Sweden’s TV show Mandagsborsen on 16 April 1984. During his tenure in Whitesnake, Jon recorded two very different solo albums. 1982’s “Before I Forget” mixes mainstream rock tracks with very English classical piano ballads sung by Vicki Brown and Sam Brown (wife and daughter of entertainer Joe Brown) and Elmer Gantry. The album features many prominent musicians from Jon’s previous bands and Bad Company, and Jon later picked out “Bach Onto This”, a reworking of Bach’s Toccata as representative of his work at the time. Jon was also commissioned by Central Television to write the gentle, pastoral soundtrack for the 1984 TV series “Country Diary of an Edwardian Lady”, based on the book by Edith Holden, with orchestra conducted by Alfred Ralston. During these years, Jon also played on albums by his friends George Harrison (“Gone Troppo“ 1982) and Pink Floyd‘s David Gilmour (“About Face” 1983), Cozy Powell (“Octopuss” 1983), Alvin Lee (“Detroit Diesel” 1986) and in 1985 he made a brief appearance as a member of The Singing Rebel‘s band (which featured Eric Clapton, George Harrison and Ringo Starr) in the film “Water”. Jon also toured as a member of all-star band Olympic Rock & Blues Circus fronted by Pete York and featuring a rotating line-up of Miller Anderson, Tony Ashton, Brian Auger, Zoot Money, Colin Hodgkinson, Chris Farlowe and others. The band toured primarily in Germany between 1981 and 1989. Lord also took part in Pete York’s TV musical extravaganza Super Drumming between 1987 and 1989. Deep Purple reformed in 1984 with the “Perfect Strangers” album, its title track featuring another stand-out opening motif from Jon’s Hammond, and the band has been recording and touring extensively with great success ever since, as indeed they still do to this day. Jon’s solo CD “Pictured Within” (1997) showed a return to a more piano-based and gentler style and was released to great critical acclaim. Jon rarely wrote lyrics but he did for the title track and it has developed into a favourite with both his fans and himself. The album was deeply inspired by Jon’s loss of his parents and deals with grief and the feelings connected to loss of loved ones. In September 1999, Deep Purple revisited Jon’s “Concerto for Group and Orchestra” on its 30th birthday, performing it with the London Symphony Orchestra conducted by Paul Mann at two sold out Royal Albert Hall concerts, recorded and released on CD and DVD to sales of more than 500,000 copies. Deep Purple then took the Concerto on a 40-date tour of South America, Europe and Japan with a 70-piece orchestra and guests that included Ronnie James Dio. Jon left Deep Purple after a sold out concert at Ipswich, England on September 19 2002, where the audience chanted his name as the he left the stage. “I’m going to have myself a long and vibrant solo career,” Jon said that night, as he set his sights on fulfilling that promise. He wanted to focus on his writing and play his solo works. In 2003, he performed “Concerto for Group and Orchestra” at three consecutive nights at the Sydney Opera House and also visited Perth in Australia, and Luxembourg and Norway. Jon’s next solo CD “Beyond The Notes” (2004) featured collaborations with Sam Brown, who wrote most of the lyrics, including “The Sun Will Shine Again”, which Jon had composed for his good friend Anni-Frid Lyngstad (Frida from Abba). She later performed the song with Jon on German ZDF television. Elsewhere the album also included “De Profundis”, Jon’s musical homage to his years with Deep Purple as well as tributes to his late friends Tony Ashton and George Harrison. Jon’s piano concerto “Boom of The Tingling Strings” (the title is a line from Piano, a poem by D.H. Lawrence) was performed in Australia and Europe and recorded by EMI Classics with Nelson Goerner (piano) and Paul Mann conducting Denmark’s Odense Symphony Orchestra. Also included on the resulting CD is “Disguises”, a suite for string orchestra. The CD was released in April 2008 and entered the Classic FM Hall of Fame in 2009. “Durham Concerto” is another full-scale work for orchestra and soloists. It was commissioned by Durham University for its 175th anniversary and was premiered in October 2007 at Durham Cathedral and broadcast live by Classic FM. The work was recorded in July 2007 by the Royal Liverpool Philharmonic Orchestra conducted by Mischa Damev, and soloists Matthew Barley (cello), Ruth Palmer (violin), Kathryn Tickell (Northumbrian Small Pipes) and Jon himself on Hammond organ. In the week of release, the CD made the top 10 in the UK Classical Album Chart and went on to number 3 in the UK New Release Classical Chart. It also made the top 50 in Amazon’s overall pop chart and no. 3 in HMV’s online Classical Chart. Finally, “Durham Concerto” was the highest new entry in Classic FM’s 2009 Hall of Fame (at no.75, while “Boom of the Tingling Strings” made no.198) – an astonishing achievement for two brand new compositions by a living composer. In March 2010 Jon released “To Notice Such Things”, a suite for solo flute, piano and string orchestra, inspired by the last line of the Thomas Hardy poem “Afterwards”, that Jon’s good friend Sir John Mortimer used to read when doing live appearances (with Jon frequently accompanying him on piano). Sir John Mortimer died in January 2009 and Jon wrote the piece as a memorial to his departed friend. It was again recorded with the Royal Liverpool Philharmonic Orchestra, conducted by Clark Rundell, with the flute played by Cormac Henry. The CD also included “For Example”, Jon’s tribute to Norwegian composer Edward Grieg. Jon continued to perform all over the world with various orchestras and with vocalists Steve Balsamo and Kasia Laska. Between 2008 and 2011, Jon performed at Arts Festivals as diverse as Lichfield and Shipley in the UK to Plovdiv (Bulgaria) and the Virada Cultural Festival (Brazil). His concert schedule included three nights in Adelaide, Australia, numerous concerts in Germany, two tours of Russia, several concerts at Trondheim’s Nidaros Cathedral in Norway, and visits to Korea, Switzerland, Poland among others. Jon also toured with his friends from the Olympic Rock & Blues Circus, now renamed as Jon Lord Blues Project. In the band were his old friend guitarist and singer Miller Anderson (who sang vocals on “Pictured Within”), bass player and singer Colin Hodgkinson, singer Maggie Bell, keyboard player and singer Zoot Money and singer and drummer Pete York. And as if that wasn’t enough, Jon also found time to play with Nigel Kennedy, Ian Anderson and Rick Wakeman, and record with Anna Phoebe, Steve Balsamo and Kasia Laska. In 2011, Jon was honoured by a Fellowship of Stevenson College in Edinburgh – after his work with the university’s students in 2009, and was also made Honorary Doctor of Music by his home-town University of Leicester, which, he said, would have sent his parents “dancing in the streets” with pride. In 2011, while Jon was putting together a definitive studio recording of his iconic “Concerto For Group and Orchestra”, he was diagnosed with pancreatic cancer and stopped touring. His last concerts were the Sunflower Jam on July 8 2011 and a performance of “To Notice Such Things” at the Shipley Arts Festival two days later. The rhythm section, Guy Pratt (Pink Floyd, Madonna) and Brett Morgan (Jon Anderson, Sting), and the Royal Liverpool Philharmonic Orchestra were recorded in Liverpool in June 2011, conducted by Paul Mann. Later that year and during 2012 at Abbey Road studios in London, Iron Maiden‘s Bruce Dickinson and Jon’s regular singers Steve Balsamo and Kasia Laska contributed their vocals, while guitarists Joe Bonamassa, Darin Vasilev and Steve Morse also added their work. Despite his ill heath, Jon oversaw all these recordings in person. On May 15 2012, as part of a year long celebration of Jon’s classical work, Jon’s “From Darkness To Light“ for choir and orchestra, was performed by the Hagen Philharmonic Orchestra conducted by Florian Ludwig and broadcast live by German WDR radio. Happily, Jon got to hear both the first ever radio broadcast of “From Darkness To Light” and the finished studio recording of his cherished Concerto before he passed away on July 16 2012. Jon is survived by his wife Vicky, and daughters Amy and Sara. Jon was not merely the Hammond player with Deep Purple, he’s a very skilled musician who acted like the musical antagonist to Blackmore as well as on creating music and soloing with Ritchie. His solo efforts are there to testify his greatness. DP would have not been the same without his artistry and skills, many of his solos are exciting like the guitar, no doubt he was a real engine behind the keys. Long live to this wonderful Jon Lord! (pardon my English I’m not a native English speaker). You right, I still enjoy the duels on lazy and and speed king and bloodsucker. Those jazz-inspired fights between musicians is one of the reasons why purple was purple. Also the classical inluence (lord) combined with blues made purple great. My purple is still blackmore and lord. Although Airy and morse are great the magic is missing. perfect strangers showed why and some moments on the house of blue light. As an avid fan of Jon Lord I was extremely happy when I found the Pictured Within CD. I have been a Lord fan for several years. The keyboard skills that Jon Lord possess are well above the normal skills. The concept of being a (Heavy Metal) artist and also be able to write and compose Pictured Within is just a awesome talent. I would like to see a concert tour in the United States. It would be an thrill to see Jon in a concert again. I really love that way to play the organ. I was born in Argentina in 1974 and in 1987 I bought Deep Purple In Concert (this album is better than Made In japan for me). I play the organ thanks to Jon. When I saw him in concert in Madrid I couldn`t believe, he was really inspired. It`s Magic. I just have to say one thing: Thank You Mr. Lord, Thank you very much for those moments. Classical, Jazz, Rock, Blues, New Age, everithing sounds great. I would like to re-vindicate the mark I and III solos, and Whitesnake also. Thank you all. I have been a long time fan of Jon Lord. I have had the pleasure of seeing him in concert with Deep Purple in the past and was amazed at the sound that could be withdrawn out of the keyboards through his talent. I look forward to a new album. The complexity and yet the simplicity that is shown through Jon’s talent is to me a lost talent in todays music. To be able to go from one style of music to another yet both are such great pieces just shows the Talent that Jon Lord has, it is more than a talent but a true Artist at work. Thank you Jon keep it coming for us true fans. The world is much better place with people like Jon Lord and that kind of creativity and magic which he has brought to us. His music will live forever! Undoubtedly, the greatest and most under-estimated composer/musician of the 20th century. Long after we are gone, the Concert for Group and Orchestra (Royal Albert Hall on both performances, about 30 years apart) that was composed by this genius, will be recognised as great classical music of the 20th century. The acclaim is a long time coming, but one day, it will happen. JOHN LORD is the best musican in the word of all times. He is simply fantastic. Unifortunataly I never had an opportunity to see him on stage. But I thank the god, that there is a such kind of musican in the word. Thank YOU very much JOHN LORD! You are genius!! Jon lord gave me the opportunities to appreciate a way of feeling the music, not only to “bang my head” on metal stuff… I love Emerson, Airey,…Who are marvelous keyboards players, and musical technicians, but Jon Lord will stay my favorite one ever , because of his inspiration. His “touch” and felling is legendary because he put all himself in each solo. I’ve all Jon CD’s and I love everythings he had done.From Deep Purple To Whitesnake, with the hootchie coochie men, the solo albums (Jon Lord, Bernie Marsden, Cozy Powell, …) Now everybody are older, let’s continue to make music with serenity. Thanks to be so honest with music ,no compromitions with music bussiness… Stay yourself ! Deep Purple is in good hands with Don Airey, it’s a good finality for everybody. Jon the gentleman, stay like a shadow on Deep Purple music forever ! I have been a fan of Jon’s since the beginning of Purple & think he is, quite simple, the GREATEST Keyboard Player EVER. He is a ‘proper’ musician & it really shows with his versatility. Long may you continue, Jon – God Bless you, you’re brilliant! Hi Mr.Lord, i really admire you because besides being a hell of a rocker you also are a great classical music composer. I am a drummer who really aspires to be like you someday. How did you get started into writing classical music? You were brilliant in Deep Purple and still are. I enjoyed your music even more than Ritchie ’s one. Long live to you. The MAESTRO Jon LORD is the best!!! your two concerts in Bratislava (Slovakia) with Slovak radio symphonic orchestra were excellent. Especially The Telemann Experimant. I liked your music very much. jon lord is amazing man…he a legend.He can change the world with music.highway star,burn,fireball,picture of home,lazy,rat rat blue,hard lovin,april,hush,gypsy kiss,fools,child in time,anyone daughter,And many others that are other beautifull song..and My national anthem is highway star.God Bless my grand pa..i wish you fine and keep a rock..! Is possible to make a european tour ? En los 70 intentaba copiarle cosas a Lord cuando tocaba en una banda de rock en Montevideo, llamada Etcétera… Una sola vez Deep Purpla pasó por aquí (Montevideo), ya con Don, sin Jon. O sea que nunca lo ví en vivo. Es y será el más grande. Sín ánimo de blasfemar, quizá lo admire tanto porque como a Jesucristo, nunca lo ví!!. Vamos Jon!!! Hi Jon, Are you the John Lord I knew at Wyggeston Grammar School in 5A2 in 1958? We visited each others houses and started an operetta together called ‘The Ransom’ – I would love to hear from you. Hello, Jon ! Happy Birthday to you ! Long liveLord of Hammond ! I first heard Deep Purple more than thirty years ago, a friend lent me his copy of In Rock, and from the opening bars of Flight Of The Rat I was totally hooked. I have bought every album since and a fair bit of the solo stuff as well. A few years after that first encounter and with my head whizzing round from whiskey [ another love ] I heard HIghway Star on the Made In Japan record. Jon Lord is a wonderful and talented musician and his solo work particularly Gemini Suite & The Durham Concerto will remain forever, God speed. Jon Lord and his Hamond are a british and Universal delicatesem . Deep Purple is a Rols Roys . Deep Purple is a “Armani pour home” parfum . Deep Purple is a swiss wach . Deep Purple is a perfect machine . Without you, the world is empty. My first LP was “Burn”, my father give it to my younger brother and me. He hates this kind of music, but as I played the Concert for group and orchestra, he was irritated. On my 40th birthday (24th september) you played this again. I couldn’t see it live, only on dvd, but as you played Sarabande in Essen, I’ll be there: One of the finest events, I’ve ever been. The first live concert i saw was in 1971 in Rome (Palasport). The last in 1985 with the renunion with Blackmore. Thaks for the inspiration during our adolescence. Your music is my music. You will ever be one of the greatest musicians! Thank you for﻿ the music you gave to us, Rest in Peace Mr. Lord, see you at the next great concert in Heaven. I was very saddened to hear the news of Jons passing.Firstly my deep condolences to Jons family and friends.RiP Jon…Secondly I am so honoured to have met Jon in NZ when he was in the band “Deep Purple” and very much a fan.I was lucky enough the night in Auckland,nz to get a backstage pass to meet the band and to spend time with the band after.A very keen keyboard player myself struck up a long conversation with Jon and was very honoured when he wrote out some notes for the song “Black Night”, and continued a long chat into the night.I seemed to really hit it off with Jon but he seemed so pleasent to get on with.He gave me his autograph on my birthday card as my 21st..I still have that today,also other members signed it. I remember that night like yesterday and I’m happy that a fan like me had such a wonderful opportunity to meet such a wonderful guy as Jon.Jon the keyboardist and Jon the caring person I met. Jon si supieras lo importante que fuiste en mi vida toda mi vida. Cuando tenia 15 años yo quería ser diferente a los demás amigos de mi juventud y cuando escucho sin querer el disco “Machine Head” marco toda mi vida, pude ser diferente a los demás yo tenia a Deep Purple y ellos no!! por eso fui diferente a ellos. Tengo 57 años y cuarenta de ser fan numero uno de Deep Purple. Soy de Aguascalientes Mexico, tengo una familia maravillosa que somos la familia purpura Martha mi esposa que también le llego a gustar mucho su música, mi hijo Marco Antonio el cual fueron su inspiración para formar su grupo de metal, Tanhya mi chiquita la cual tomo tanta fuerza el grupo que para sus quince años que prefirió esperar a que vinieran a México (2003) para ir a verlos, ese fue su regalo mas precioso que le pude dar de quince años y luego llega mi nuera a la cual también cautivaron con su música y es fiel fan de Purple. Lo máximo llegó con mis nietas Luna y Abril la cual lleva el nombre de Abril en tu honor por tu preciosa canción “April” quisiera decir muchas cosas mas, pero que Dios te bendiga por ser parte super importante en mi vida descansa en paz JON. Gracias gracias gracias hasta siempre Lord. This notice make me very unhappy . my sincerly condolences to jon’s family , to jon’s friends and to jon’s work partners . There are a lot of people in Argentina that will be sadness because of Jon’s death . I wish that Jon Lord rest in peace forever . 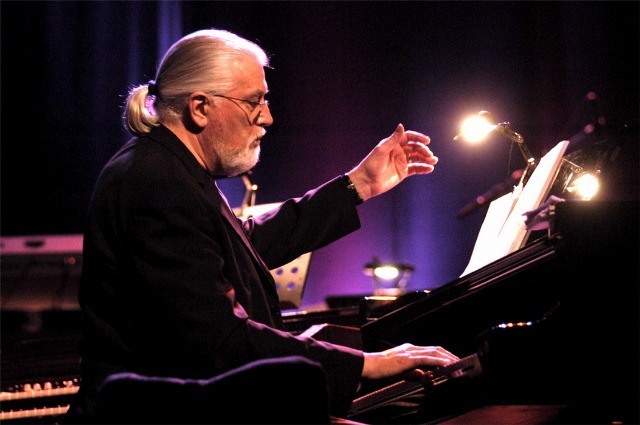 Jon Lord was to me the most influential keyboard player ever, In 1969 (I was only 11 at that time) I changed from classical to modern piano by the influence of the 5th of Beethoven by Rick ven der Linden (Ekseption Holland). Only one year later I discovered Deep Purple. I learned every solo from Jon, his playing style, his technique. And I still love to see old movies on Toutube of him playing the Hammond. Jon has changed my perception for music for the better. I will miss you John! He was a man whose creation is accompany me throughout my life. Not in music lessons at school, but with his help, I came to classical music. No offense to the other keyboard player will be told, he was a acme and as performer and as a composer. R.I.P Jonathan Douglas greatest MUSICIANS. All of us will miss you. Rest In Peace, Genius! Love from St-Petersburg, Russia. очень не хватать.Будем помнить Вас Всегда. Очень, очень жаль что ушел Гений! Спаси Вас Бог, Джон за светлые моменты, которые Вы дали всему миру. Cпасибо Джон за твою музыку,я всегда наслаждался нею,я никогда не забуду тебя Джон. До встречи Джон. John,seni özleyeceğim..First,my deep condolences to Jons family and friends and fans..
whithout you music and world and your fans stay orphan..
I’m Russian, my name is Alexey from Ryazan. We had Magnetic track of “Machine Head” spite “Iron curtain” in these old times. It is one of my favourite albums until this time. Thank you, Jon, for evething you have done. Поистине большая утрата для музыкального мира и для нас, поклонников….Искренние соболезнования родным и близким….Спасибо тебе, Джон, за яркую, неповторимую музыку! SMOKE ON THE WATER A GREAT MUSICIAN IN HEAVEN. GOD BLESS YOU. Спасибо, Тебе, Джон! Мир опустел без Тебя. Вечная и светлая память Тебе. С великим уважением. Vielen Dank Jon, Du warst der Beste. Some reflections on the peace of music which I have composed in memoriam Jon Lord. From a form point of view, the form is a strict minor blues, based on 12 measures typical for the genre, repeated and variated several times. Harmonically (Considering the harmonics), the piece follows the standard jazz-blues tradition. The piece is introduced by a free preludium consisting of six bars, followed by 12 blues bars, and again 12 blues bars; these 24 bars are repeated as a refrain. Thereafter, a very short free preludium consisting of only 4 bars, is followed by further 12 blues , again by 12 blues bars and again 12 blues bars, rounding up with a free coda of 9. Referring to the harmonics, the whole piece is influenced by 9th, 11th and13th chords, in some cases countersigned by (#5, 9b). This harmonic platform has influenced the melody, which has assumed typical impressionistic features (oppure characteristics). This aspect has “neutralized” the recognizability of the typical blues harmonic progression, which nevertheless is always present. The choice of instruments is relatively linked to the history of the two involved music genres. The movement of the melodic parts in th e six voices is based on the contrapunct of baroque origin (in particular Bach). A range of continuous, not casual, variations of the basic theme is presented, in continuously proposed in alternation in the 6 voices (the piano has 2 voices). The piece is written in the key C minor. The composition has its own logic which goes beyond the commemoration of a musician of the highest level, who very recently has passed away. It synthesizes two fundamental issues of Jon Lords work as a musician-composer: Initially, most probably influenced by blues converging into Hard Rock, and consequently the choice to find an integration between this and the classical symphonic music, here expressed in form of chamber music. 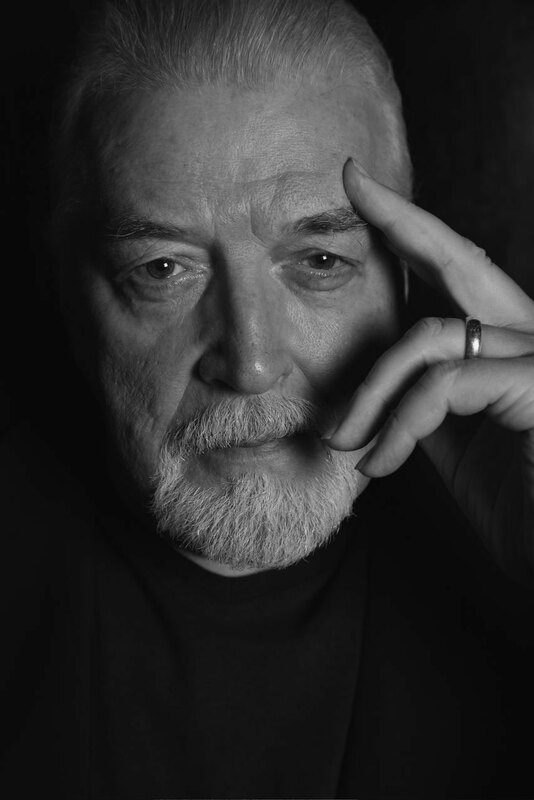 The choice of the aesthetics, by Jon Lord, to embrace forms of Fusion between the genres of Hard Rock and Classic, has to be considered as forefront, and represents an important reference point for open-minded musicians, who feel the necessity to identify and persue new and intellectually committed musical paths. myself, like thousands of others, simply would never have been exposed to classical music had it not been for jon lord. and we continued that journey throughout his distinguished career. besides his music, i will miss his insightful observations & quick wit in the many interviews he gave. thanks, jon! Hey guys, I think the time has come to make a movie about Jon’s wonderful life! From the enthusiastic young days to the strength of how he runs the latest ones. But mainly about masterpieces he gave to the world. What do you think about this? I hope one day to go and see a movie title like “Lord likes Music. Music likes Lord”. about this Concert for Jon Lord in the ROYAL ALBERT HALL. It was so sad to hear the loss of our dear friend and mentor. He was my hero. Through his music, he inspired me to take up the organ when I was a teenager. The 1st time I heard “Hush” it was like a celebration of life; I will never forget that moment. OMG he was the master. The world has truly lost a talented artist who blazed his own trail. Personally, without a doubt the best keyboardist ever. God bless my friend. We miss you. We’ve never heard of this one before. It sounds like an excerpt of the lyrics to Deep Purple’s Highway Star. Do you have anymore info on the tape, a photo, anything? I thought I had a magazine page with small review by someone along with a small picture of the cassette tape cover but I cannot find it at this time, if I come across it again then I will post details here.. I understand that this release could be thought of as ‘new-age music’ style, and may have been in collaboration with at least one other musician, here in the U.K.. I suppose it is not impossible to think that this artist may be ‘another’ Jon Lord ? I remember as a child listening to a sound i never heard before…..asking my Father what is this?? My Father replied….it’s Deep Purple my son…it’s called a Hammond organ, it’s Jon Lord playing, he’s the worlds best organ player (keyboards was not known as much at that time). Since that day, the sound of The Lords music had always got me spellbound and still does, it’s magic, PURE BUT NOT AT ALL SIMPLE!!! It was Jon’s Music that tought me to keep my mind open to all kinds of instruments and the performers conducting the art, and today i happily in love with all kinds of Music, from Metal and Rock, to Classic and Jazz. I’ve learned so much from this great Man.